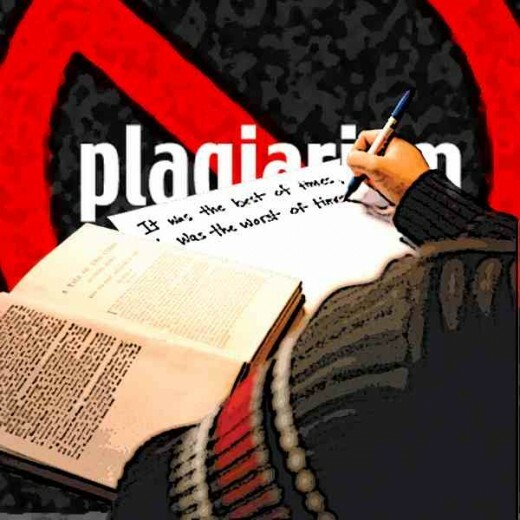 Plagiarism: How Do We Stop Thieves from Stealing Our Work? Most of us come to Hubpages so that we can earn some extra money. And I am sure you will agree, the cash comes in useful as long as you put the work into your Hubs. And the one thing that you never think of is plagiarism. When you write it is from the heart. You don't expect someone to copy your work. You write because you want to, or need too. But the main reason is not the money. And especially not the reason why you write for Hubpages. Take me, for example. I have been writing ever since I was about 10 years old. I am not saying I was a good writer, I was, and am just a writer. So, what does that mean? Well, it's a feeling. And that feeling can hit you wherever you are, whether its in the queue of the local store, usually comes to me with about ten people in front! Or maybe when you are just sitting down to eat your dinner. You suddenly get a strong feeling and a need for at the least, a pen and paper, or mainly a PC. What makes you feel like that? Usually something that has got your interest on the TV while you are eating. Or an article in the Newspaper. Who knows? That feeling can hit you at any time. I suppose the best way to explain it, is to say its like an addiction. Where I am concerned, I get that feeling about reading too. I can sit there for hours just reading away, totally ignoring the chores around me. Then ten minutes before someone comes home, out comes the hoover, duster and mop and I wizz around the house like superwoman! So, back to Hubpages. I searched for loads of sites before I got to this one. And the second I hit that button that said 'join', I felt that this was the right one. Why? you may well ask. Because, like you, I found a platform for my ramblings, intellect, or lack of! and an addiction to writing. No more bits of paper. No more rejection slips or waiting for months for a reply. And that's what I call perfect! So, why does plagiarism drive me mad? A bit like giving birth! Now we know the reason why we write, we'll get to how we feel about our work. This is going to sound a bit stupid, but its like giving birth! Yeah, you heard me! I love doing all the research, I missed college, went to night school and still have withdrawal pangs. So, we browse through books, go to the search engine and try to find odd snippets that we have missed and we add photos or documents. Then, just like the author in Stephen Kings Misery film, I get out a cigarette, I know, don't nag I only smoke 5 a day! place it next to me, hit the publish button, and then, voila! I light my cigarette! I suppose I should lock all the doors at that point, just in case someone comes in to hit me over the head with a typewriter! or hobble me! If you haven't seen the film, well, you don't know what your missing! And then, there it is. Its taken a good long while to do all of the work, and then we have to try and promote it. So, the point I am making is that its not necessarily about the money. The information has come from our minds. Us. No one else on the planet. And that's what ticks me off. Someone, somewhere decides that, actually they can't be bothered to do any of the work, so its fine to just steal it. But its not just our work they are stealing. Its our mind. Its our thoughts, and most importantly, its our experiences. Whether it's a personal piece, or an historical fact, the idea for it came from us. To some extend I can, and do understand if the person stealing it comes from a non English speaking country, is very poor and will do anything to earn a few bucks. But when its someone who claims on their site that they are a professional singer, actor etc, and produces photos to prove it, then I go ballistic! The unauthorised use or imitation of the language and thoughts of another author and the representation of them as one's own original work. And something used and represented in this manner. Is Plagiarism just an annoying fact of the Internet? Or is it theft? I believe that these people need to learn a lesson. And the only way that it will sink into their heads is if we name and shame them! Not only will they think twice before doing it again, it will give the opportunity to other Hubbers to check out their websites to see if they have done it to them. Why now? Well, as someone stated on the forums, Since the new domain has come into being, will our hubs be regarded as 'New?'. If they are, and if they do suddenly change dates, will our hubs suddenly be regarded as the 'copied' version? Good thinking? Or silly? After all the Hubs that have been written, we don't want to lose out on the search engines just so that someone who can't be bothered to do any work, reap the benefits. Plagiarism is a crime. So, do you think its a good idea? Or am I having a grumpy day? You decide! Do you think Plagiarism is wrong? Or is it just an annoyance. Nell, you asked, "Is Plagiarism just an annoying fact of the Internet? Or is it theft?" People steal others' work for various reasons: they cannot write well, they do not like researching, they are lazy, they want easy pickings, etc. Take a college thief, for example. His assigned paper must be turned in tomorrow. He does not have time to put one together because he has to study for three tests. He could find a well-researched article on the Internet and make a few changes in some of the wording, add a few sources of his own, give it a new title, etc. Voila! He has somewhat personalized it, and he does not feel so guilty. He convinces himself that the "new creation" is his own work. He turns it in to his teacher and makes an excellent grade and receives other accolades for a job well done. So, this begins a new way to skate through papers. He may even start a secret business to collect, alter, and sell papers to others who believe that he writes them. Yes, the hard work of others could be earning Internet thieves big bucks. Because everything stolen is not published on the Internet, thieves may be getting away with mother lodes. This is unfortunate and a terrible crime against the writers, but it happens frequently. Interesting subject to write about. I think all too often plagiarism is overlooked or dismissed because the piece in question wasn't written by a famous person - author, poet, etc. Thus, it is assumed action for recourse is limited in means or interest. Personally, however, I think social media outlets like HubPages, Facebook, and Twitter do a good job weeding out the thieves of behalf of us little people once complaints filed are investigated. This is a frustrating problem, and I struggle with whether to invest all the time in trying to get it taken down or just focusing on writing. I've got a list of instances I'm currently pursuing. The one that I couldn't believe was the Workplace Bullying Institute copying my bullying hub. They Tweeted and Facebooked it, copied the text of the entire hub, but were "nice" enough to take it down once I found out about it months later. Sheesh. Hi john, yes that's so true, we do have to be careful, but I would love to put their names up there in lights, and not for a good reason! lol! yes politician s should look into this, thanks for reading, and great to see you! I have mixed feelings because what if the Bible was copyrighted 5,000 years ago? But yeah, people do article spins instead of writing is wrong unless paraphrase it and attribute. But then - sometimes people simply want to put the word out as in the book "Steal This Book" by Abby Hoffman. Good for you, Nell! In a society that has become somewhat marginalized ethically, this will probably be a never-ending disappointment. But naming people who are unethical about it all puts you face first in front of Internet judges. Liability law in my country is weird to say the least (USA). Hey, money is important these days. An expenditure of time, even if it is a love, is time that was not used otherwise to make money. I would love to name names, and it is good just to say it, but be careful. I would love to see a politician take this up as a pet project. They can get away with more, especially when it comes to thieves. Ah! Time for a cigarette. :-! It wasn't plagiarism with the journals. I'd clearly signed my 'rights' to the article away when I agreed to get compensation from the magazine I wrote for. But, none-the-less, a phone call wouldn't hurt! Now, if some other goon on the internet reproduced an article, I have the originals in my potion, hardcopies and scanned as well as on-line. Don't know what good that'll do, but I have peace of mind!! Petra, I think you're right.Techno/scientific writing involves mega research and the desire to stick with a project and see it to completion.Takes gumption. Not to say that creative writing doesn't involve it's own kind of discipline, but I can only speak of what I know. Technical writing. I've seen my articles, the fruits of months of labor, appear in various journals. Occasionally, there's credit given deep in the journal. But a byline like the original article?N= Nope. Nell knows all about this. Suffice it to say that I got my ears wet-the hard way. Nell, you're kidding. They admitted they'd lifted your post and still left it up?? The unmitigated gall! I suspect that many people out there think the words copyright and plagiarism do not mean a thing and were just added to the dictionary for the fun of it. What makes me so angry is the backlash received sometimes when I approach anyone who has copied my work, some are very apologetic yet others go on the defensive and more or less insinuate that the author is wrong in approaching them. I do give permissions to use elsehwere and have done so recently with no problems whatsoever as credit has been given to me as being the author. I don't have a problem with people who have the manners to ask permission. I have seen my work used on internet auction sites time and time again. The most annoying thing is that the person who copies is making money out of it while I am not. Laziness is the keyword in most cases as their attitude is why bother to go to the trouble of compiling ones own text and taking ones own pictures when it is far easier to copy text and pictures from another person. Although it makes me so angry I try not to let it get me down, at least we have the pleasure of knowing that our work is so popular that others with far, far less intelligence cannot resist it. Enough said. No, it was in HIS words-but it could only have been read if someone followed the link to his HP article. Let me send you the link. Hi, team, I think that's okay, as long as what you wrote wasn't a direct copy of his, because it would come up as 'copied' otherwise, but yes that's fine, as long as it was in your words, okay? I recently read a hub that was well-written and explained its thoughts well and I researched to see if they were all accurate; they were. I have a blog and I wanted to put this piece on my blog. So, I contacted the author of the Hub and asked if it would be alright if I linked to HubPages (which was where the article appeared). He said it was ok and the other day, I published his article with correct referencing, on my blog. I don't know the TOS w/ HubPages-was this an okay thing to do, since I had the author's permission and a direct link was made? It would actually promote HP as the link took you directly to his page and they then the reader could snoop around HP. I have had my website for a few years, it is a non profit making website, I just do all the research and hard work so that others think that they have the right to copy and just help themselves. These people make me so mad, it is sheer laziness on their part. I am constantly having to deal with those who think it is okay to just copy and paste the work of another. On the other hand there are nice people out there who do ask permission to use. Mine is quite a large website containing more than one page. I have to update the website from time to time with fresh information. The website is registered in the U.K. but I cannot update everytime edit a page as it would cost me a fortune. Most people that I contact with regard to copying remove the content and usually offer the same feeble excuse for copying, i.e. 'they didn't realise that they had done anything wrong' even though the website has bold copyright notices plastered on it. Currently a large chunk of text from the website now appears one someone elses website as if they have written it which is sickening. I don't have this text on my website anylonger as I restructed the page in question but an exact copy of the original text/page is still available in internet archives prior to the date that it was copied. Any advice on where I stand with this, I would be most grateful for any help. Good luck to those of you in a similar position, I don't suppose we will ever be able to stop those who delight in copying. Nell, I think I was so eager to be published, so honored (wouldn't we all be?) because I knew it was luck (I had NO training in writing whatsoever) that I would have given my first born... Also luck because I just happened on an editor who saw potential and nurtured it, instead of flatly rejecting it. Rare! Nell, there was an agreement that they would pay me and how much they pay me; unfortunately I didn't read the fine print about giving up my rights to the content of that article; but I was more interested in getting published and paid. Several other times the article was subject to CEU *educational credits towards professional licensure) which nurses pay for. I proceeded to ask the editor what percentage of the earnings I was going to receive because I wrote the article. Imagine my surprise when she told me: none; that was another right that I've signed away. Hi, Elizabeth, I totally understand. the reason why people do this is pure laziness. They believe that by stealing your writing they can put it on their site and of course earn money from the adverts. You can file a complaint to google and that should get them taken off and banned from their site. saying that I have complained to two sites about this and they have done absolutely nothing. I join the site and then put in my complaint in their comment box, but of course it gets taken down. but keep on at them, do the google complaint and write to the complaint parts of the site, you should find their names and contact details at the bottom of the page, good luck, I know how angry you must be, especially if you have put a lot of effort into it, and you do all the work, drives us all mad! let me know how you get on, okay? I am not a writer at all. I am a small business in my town trying to make a living. I never thought that I would run into such a problem for I am not a pro. I am very irritated that I submitted my very first article to early this month. It published on the 10th of this month and on the same day I found it posted to somebodies blog with only the name of the town changed in the post. I am mad as they come right now. I've had my work stolen before. I hated it. If it hadn't been for the fact that my own personal creation was being used by someone too lazy to create their own work, I might have actually been flattered at the "imitation". Good thing about plagiarism? If the person doing the stealing has any real property, you can sue them for everything they are worth! Plagiarism is just as illegal as video piracy! Only thing is, it has to be brought to a civil court if you can't find a state, federal, or local law that covers the specific type of theft. Best to you all! May all your writings be original! Hi, teamrn, I totally agree, I have one hub in particular that has been copied and pasted so many times its on the internet about a 100 times! but only one of the is original, mine! lol some people do put a link in to my page, which is fair enough, as long as they only write a little bit to introduce it, but some others do put a link, but also copy the whole thing first! Duh! lol and of course others just copy full stop! I've been called gullible in my day; actually lots of things, but I can't imagine cutting and pasting a hub, or even paraphrasing. Learn from it what you will and combine it w/ other info, but it's not your own until you write in YOUR OWN WORDS guided by your own thoughts. Recently accused of plagiarism, I have a different take on plagiarism not remotely related to money. My routine is to write a hub and before publishing it, to do my due diligence and see if similar content has been published. Recently, HP brought to my attention that there was content previously published that was quite similar to mine that I had missed in my check. Thing is, I try to find any similar content before I publish any hubs. Apparently one slipped through the cracks. Would you shoot me? Great article, Nell! Yes, plagarism is a crime and something should be done on the www or internet to put a stop to it. It is shameful, but unfortunately, the people doing it never seem to be shamed. I do not think it is flattery. It is someone trying to make good on your hard work and reputation. Believe it or not, I have been plagarized by teaching colleagues. That is the most disgusting and lowest form of it I have ever known. But, at least when it happened, I was able to say something to the teacher(s) involved and could have done something about it criminally if I wanted to. I can't believe how low people will stoop. I get nervous at times when sharing my writings for this reason. It is not flatery, it is disgusting. Years ago I had a site on page one for a very long time. All of a sudden it vanished. Then I spotted my very content on the site that had replaced mine. The first few paragraphs containing around 250 words had been copied verbatim. The rest of the text had no connection at all to what had been copied from my site. Probably he had pinched the rest from various different sources! The point is, he was not selling anything at all although I was! In spite of the fact that I was getting some sales from that site, there was nothing I could do about it. Prior to this I was under the impression that Google spots and penalizes such sites, but I realized they don't. I believe these plagiarists are actually not aware that what they are doing is unacceptable. At that time there were "article marketing" sites from which webmasters were permitted to pinch articles provided they placed a link back to the page from which they copied the content. One such "article marketing" site was fully optimized to be visible to google to such an extent that whatever you submit reached page one in a couple of days. It was a haven for affiliate marketers as whoever who borrows content from there will need to reproduce the existing links as well. As time went on, many who borrowed content from there started to reproduce text without the existing hyperlinks and so the site had to make some changes to their TOS. However right now they do not permit linking direct to any affiliate products. So I guess one of the solutions would be to make people aware that not all sites permit borrowing content. Hi there Nell. A new reader of yours is in seventh heaven over you. I told this person to be prepared for the high. Nell, how do they get by with stealing your first person Hubs? It has to make it dicey for them doesn't it. Enlighten the ole boy some if you feel like it, if not me understand. Like to ring their necks a little for ya though. I agree with you 100% - name and shame them! Just because words are electronic and online doesn't mean that they are any less a personal object from anything else you may own. If someone stole a manuscript from your handbag they would get charged with theft - electronic theft is exactly the same and just as serious. I know one hubber that this happened to and she hadn't long started on Hub Pages. It took her ages to write this wonderful article and then found it on a certain person's page on another website. She was very distressed but did tackle the situation and the article was removed. But I don't think you are having just a grumpy day I think to take more positive action against these people gives the message out that genuine and very, very hardworking writers are not willing to put up with their thieving any longer. Great hub that will alert more writers to this toxic problem. Still a great job, and I like it, spend most of teh day filing DMCA complaints, but it means things are going down. Still it does take time... why van't peope be original or more to teh point hubpages show us copied hubs faster? Hey Nell, just stopped in to see what you were up to. Can you just add Copyright and your name at the end of your story or do you have to go to a lawyer to get a copyright name listed? Stealing someone's writing is definitely wrong, but I don't think it's a necessarily wrong to take small chunks of information, verbatim, from another source, such as Wikipedia. I did that recently and my story was unpublished by the staff at HubPages. Whatever. You bring up a good point, though. If somebody steals my work, gets away with it for awhile and then duplication becomes an issue, whose work has been duplicated? Later! I just do the ones like this that are stories or articles that I may put at other sites and I always did that. But I never have put a personal story or poem I some day plan to have in book form up before I have a government copyright, so that is why I never worry, I have proof and if I find anyone using mine making money they will owe me and then some. My work I take as seriously as anyone, anyone is welcome to my Obamanation ones though. Now when you gonna come laugh at my frog!? Can't you open your hub metrics here to prove publish date? I do that when I close down something I think I may want to use somewhere else that I don't copyright. Then copy the whole page with that showing and without and save all in an email folder. I copyright my stories and poems in collections so those should be safe and those are all that means anything to me right now. I am surprisingly pleased how Google has connected my work to me that in searches I often come upon my own stuff. Maybe there is a clue to something there. Hi, jami, thanks so much! it does drive me mad, I wish we could insert some sort of code in our work that would scramble the copied hubs! ha ha that would have them! I voted "yes" its a crime and its a shame , stealing someone elses work is no different than stealing from their pantry to feed themselves or their families , stealing is a crime , plagurism is no different , i voted up , useful , awesome and interesting , great hub! , and i of course voted "yes' have a lovely afternoon. We've had a few of our hubs copied, and it is extremely annoying. In most instances we have got the offender to withdraw the copied article, but not always. We wrote a hub with advice on what to look for when buying a handbag, and it was copied by a Chinese site. As far as we could work out, the site is owned by a company that "copy" handbags styles from famous designers. So the fact that they copied out hub did have a funny side. Hey Nell, great info. Another newsworthy hub! I totally agree. And I hope what you said about the changing of our posts dates won't come true here at Hubpages. That would just be wrong. I don't have many articles to date but I know many who do and I, myself, would love to add more without the added worry. Anyway, thanks for this great hub Nell. Unfortunately, there will always be people lacking in integrity out there! I checked several on my site and it only came up with my name but I haven't checked any here yet. I wonder about people at facebook when you get a recommended reading getting their name on your hub as if they are co-writer? Its a Bryan someone always does it to me, does that somehow make him a co-owner, I have been meaning to check out more but all this going on and change here I am not understanding and tonight I had to give the key words to even sign in hubpages, what is that about? Either I know my name and password or I don't, if I was crook I could still type in the words they show me...what a pain..I am so sorry for you but I can tell you know if I find anything of mine copied I will go to the end of ---- to find them I already have a bunch of smart A$$eS here making it no fun already since I won't be their clones, but our Rose I am sure we are all willing to help you in any way we can. Maybe every few sentences or paragraph you need to add your name or a link back to you, would that help? Especially if they are not paying attention. I'm appalled!!!!! As far as I know, I've not been plagiarized. I guess I think my stuff is so "me", how could anyone else pull it off. But of course, that's probably wishful thinking. But I know that over a lifetime of being creative and original in several areas, I HAVE been burglarized. Designs, ideas, phrases, art and graphics, maybe photos, problem solutions, even actual valuable property - all have been stolen from me at one time or another - and I have been a VERY private person most of my life, hardly putting myself in the spotlight to be targeted (till my website & now on HP! I've often felt sorry for the poor lazy or empty souls. I know that they'll have to find other sources to pillage, while I can hardly stop the flow of my own original ideas. So who's the more pitiful? But the point is, whether they are looking for money selling it or for a feeling of personal accomplishment - - well, the money is impersonal and the accomplishment has no inner source. They're fakes, and that is about the worst thing I can imagine. But it is WRONG. PERIOD. I think it was Abraham Lincoln who said something to the effect that if someone steals one's possessions - be it money or land or property (including intellectual property) - they are trying to appropriate parts of oneself. (or words to that effect). Bottom line: It is just flat-out-WRONG, besides being self-defeating for the thief and most annoying for the victim. The issue is having CHARACTER and ONESELF. Lacking either is the most severe poverty possible. Those who must steal from others are empty and poverty-stricken - and nothing can cure that lack except wanting to learn better and altering their own behavior. What's the most pitiable is that everyone has something of his/her own to bring to the table. But if all they do is bring "used goods" instead, their own ingenuity and creativity languish and eventually will atrophy. Then those sad thieves will find themselves DEPENDENT on taking others' with their own untapped well dried up. Sad, so sad. So what to do? I add my copyrights. But how hard for a thief is it to just omit them? I've always enjoyed what you write and I'm glad you wrote this. It's unfortunate many people have this problem and it is a crime. I disagree with what one post said about writing in your native language on another site or LEARN ENGLISH. This isn't Nazi Germany and far from communism. I thought your article dealt with plagiarism not profiling a person's culture. People really do need to get a grip. Nell. I went to Google, typed in the title of my poems/stories, there they were, four of them. I guess the thing to do is put your name in the title. I think that kinda takes away from the piece, but what else can you do? Voted up and I agree with you, as I have had a "travel blog" somewhere in Thailand take my hubs and post them to their site without so much as a backlink or proper credit to me...and the worst part is, their link to my hub shows up BEFORE my hub in Google Searches! I was so angry when I saw that...but I've sort of given up because they've done NOTHING about it. From now on, I try to put credit to my own name, at least in my short stories, I put "by kitty the dreamer" in the header or subheader. Plagiarism is nothing but laziness on many levels and in personal works such as prose and poetry crosses the line of common decency. Plagiarism is something I fear and despise. HubPages has helped show me when someone has plagiarized my work - it's not fun dealing with that problem, but I'm glad to write at a place where it's taken seriously. I am not at all flattered when a thief steals my work. It makes me irate and outraged. I think they should be exposed, names, websites, everything out in the open so we artists can protect our hard work. If I find any of your out there in the Land Of Thieves I will send you a message Nell. These people need to be prosecuted, but they are in multiple countries so the best thing is to tell them you will report them to Google AdSense. I did that and received an (fake) apology and my article was immediately removed. I hope forceful response will eliminate or at least reduce these thefts.. I noticed that some of those who commented here asked for "how-to" information. Not taking sides but you cannot file a DMCA for comments on a hub, that is ridiculous. We are talking about "real" plagiarism. The first time the ever happened to me, I was a bit flattered. But the more it happens, the angrier you get. Sadly it happens too often. And much as it supposed to be easy to file DCMA's it seems such a waste of time when all you really want to do is write some more. I know what you mean. It's especially disappointing when you can't do anything about it. Hopefully, these copied versions gets deleted soon. Filing DCMA's is becoming tiresome as I feel like I am doing it too much. Now I have found one who calls himself (or herself) admin and has posted the first 3 paragraphs of several of my hubs on several different sites. Once, I found copied hub on a blog by another hubber - I recognized his picture, name, and his balony about being a Christian. huh! @Marie Brannon , thanks for your advise, however I don't see any problem with my English. There are lots of writers from Eastern Europe and Russia that can only write in simple English but manage to become a famous blogger. There is a Polish guy who I can't remember his name has made it to the top and his English skill is not that good either. Search engines have no problem with the guy who cannot write in good English, they just have problem with those sites that don't provide great value to their readers.